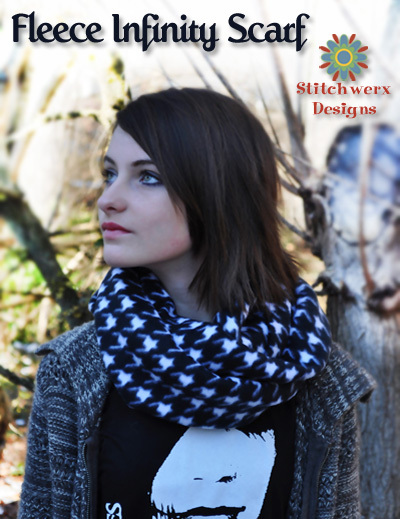 This Infinity Scarf, sewn from fleece, takes just minutes to make! You only need basic sewing skills to complete this project. You will be using one hand sewing stitch, the Ladder Stitch. 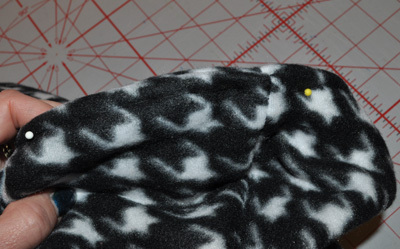 I have a photo tutorial for this stitch if you have never done it. Find it here: Ladder Stitch Photo Tutorial. 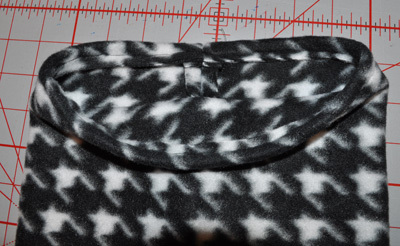 Fleece generally comes in about 58-60″ widths, so I took a piece I already had and just trimmed the selvage off. This left me with a piece about 58″ long. I cut my fabric 20″ wide. This is really a personal preference. If you want a wider or narrow scarf you can adjust accordingly. 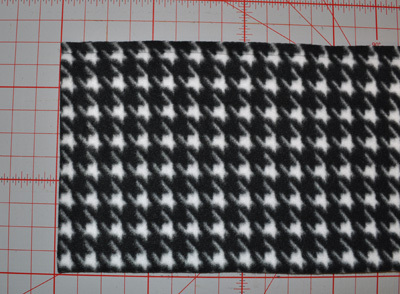 Keep in mind this will be folded in half and there is a 1/2″ seam allowance. 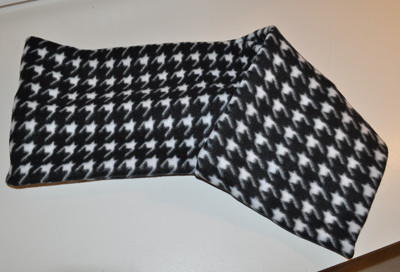 With a 20″ wide piece of fabric, my finished scarf ended up being 9″ wide. Fold your fabric lengthwise right sides together and stitch using a 1/2″ seam. Turn right side out. 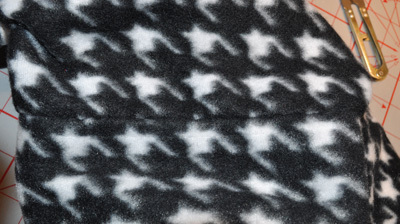 Turn fabric edges to inside about 1/2″ on each end and baste by hand or long machine basting. Bring ends together and pin as shown matching the seam lines and forming a tube. Use the Ladder Stitch to stitch the ends together all the way around. The stitches will be invisible on the outside. Remove the basting stitches you made earlier. You will end up with a long fleece tube. Keep the long seam to the inside when wearing your scarf. These are so cute and easy to make! Make several for yourself, family and friends! Everyone loves a party! Look for me at these LINKY PARTIES! 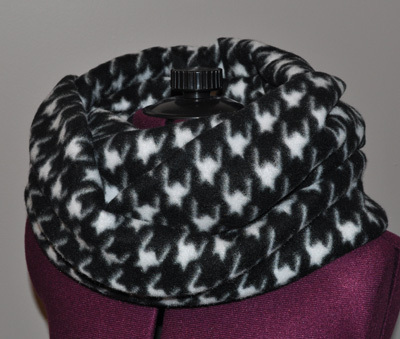 This entry was posted in Accessories, Free Patterns, Sewing, Sewing Patterns, Tutorials and tagged fleece, fleece infinity scarf, fleece scarf, free infinity scarf pattern, infinity scarf, infinity scarf sewing pattern. Bookmark the permalink.